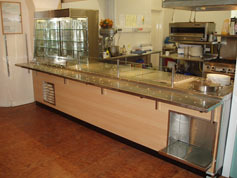 Craftsman Manufacturing has been established for over 20 years and have become experts in all kinds of catering equipment ranging from heated and refrigerated servery counters and all aspects of stainless steel fabrications. We treat each project as an individual specification without sacrificing service or quality. 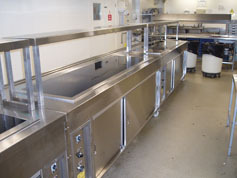 Craftsman Manufacturing also holds a wealth of experience in completing projects for an array of clients across the UK which over the years has covered a vast and diverse range of Bespoke eqipment. The whole process from design to completion of your specification is done in house al lows you to be specific with your requirements. Our flexibility allows you, the client to have control over the result and gives us the freedom to complete a number of designs without any restrictions. 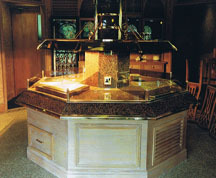 The result for the client– a bespoke, only one of its kind counter which is built to last.